The incident underscored the extent to which people around the world have come to rely on Facebook for political activism and discourse — from the Green Movement in Iran, to revolutionaries in Egypt, to U.S. President Barack Obama’s re-election campaign. 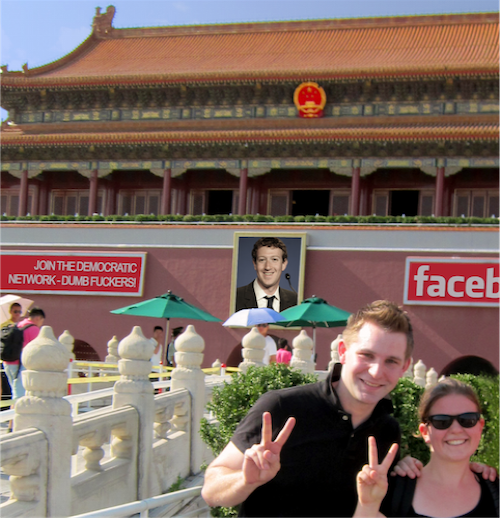 Facebook is not a physical country, but with 900 million users, its “population” comes third after China and India. It may not be able to tax or jail its inhabitants, but its executives, programmers, and engineers do exercise a form of governance over people’s online activities and identities. In apparent recognition that it faces real human rights risks and responsibilities, Facebook recently became an observer member of the Global Network Initiative, an organization dedicated to promoting core principles on free expression and privacy in the Internet and telecommunications industries. Whether the company ultimately joins as a full member, committing to uphold these principles and be held publicly accountable to them, will be a key test of its core values. Meanwhile, the postings, pages, likes, and friend requests of millions of politically active users have helped to make Zuckerberg and colleagues very rich. These people are increasingly unhappy about the manner in which Facebookistan is governed and are taking action as the stakes continue to rise on all sides.